The window of opportunity is narrowing for Hasankeyf, but there is still time to find a way to keep this ancient city and its present-day community above water. Here’s an update on the situation. The process for assessing the value of residents’ current property began in the spring of this year. Assessors entered homes, measuring each room and the garden outside. Every building – homes, cafes, mosques, and even cemeteries – was marked unceremoniously with a number spray-painted on the wall next to the entrance. 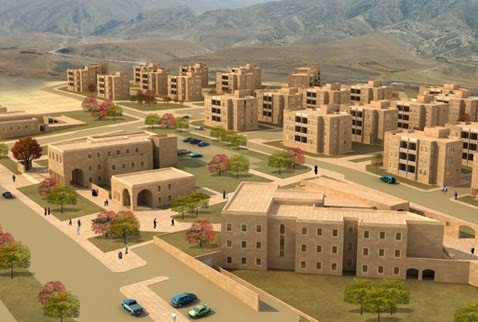 In May, prices for housing in New Hasankeyf were announced: the preferred 3-bedroom model in the new settlement was priced at 170,000 TL. Then came the property valuations in September. People were stunned and angry. 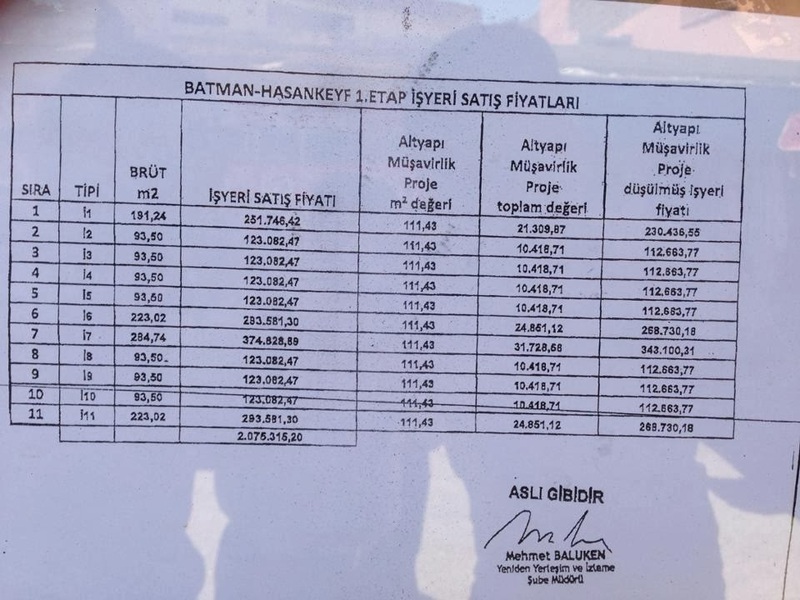 According to local sources, a typical home in Hasankeyf was assessed at 20,000 TL, a commercial store or cafe was valued at 5,000 - 10,000 TL, a block of mixed residential and commercial property at 150,000 – 200,000 TL. In a rare moment of town solidarity, the people of Hasankeyf met in early October and agreed to occupy the bridge into town. Even children faced off with the police in the October 10 demonstration. 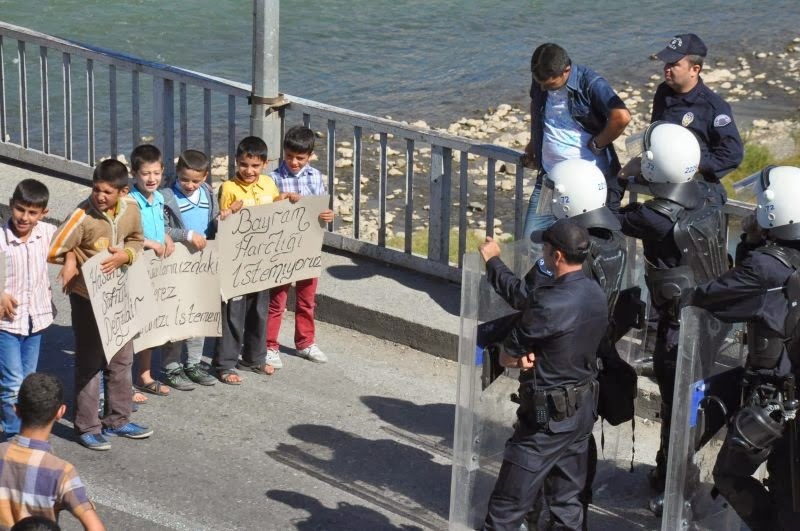 Hasankeyf Mayor Abdulvahap Kusen and District Governor Temel Ayça convinced protestors to clear the bridge by encouraging them to detail their grievances in a petition. Representatives of each family met again to define their demands and elected four delegates to present a dossier to officials in Ankara. According to sources close to those who prepared the dossier, the petition outlined three demands: higher assessments for their current property, lower prices for the new houses, and the assurance of employment in the new settlement. 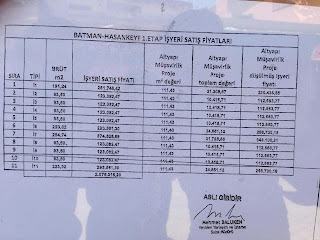 These sources also state that the petition was signed by a cross-section of Hasankeyf residents, including the local mayor and local heads of political parties AKP and BDP. 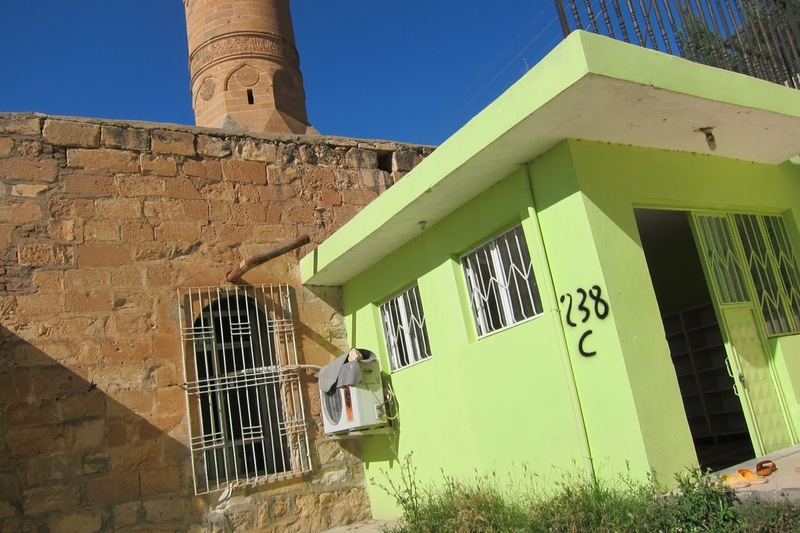 The Hasankeyf delegation (Şevket Altuğ, Mesut Argun, Abdullah İridil, and Ramazan Koçyiğit) met with officials in Ankara earlier this month, and residents now await new terms for resettlement from the government. If, however, local residents decide that the new terms proposed by Ankara, e.g., regarding employment, are not satisfactory, they may refuse to sign housing contracts. This would delay the process of resettlement further, with the potential of impacting the timeline for flooding the town beneath the waters of the Ilısu Reservoir (The dam is expected to be completed in 2014, making it feasible to fill the reservoir by 2016. 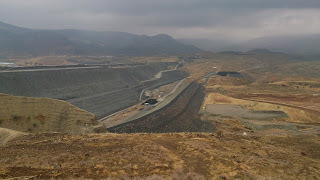 National Geographic published rare video footage of the Ilısu Dam construction site earlier this year). In the meantime, Hasankeyf is open to the public, free of charge. So come with your friends and flood Hasankeyf with a wave of tourism. Your presence will make a huge difference to local merchants and send a message to Ankara that Hasankeyf is a valuable cultural and economic resource. Please refer to our Visiting Hasankeyf page for tips on exploring the city's archaeological treasures, canyon trails, and legendary river.